But the composer’s house, Wahnfried, is closed for renovation, and a series of performances of Wagner’s early, non-canonic operas in July was dubbed a ‘festival of half-heartedness’. Frank Castorf’s new production of the Ring, meanwhile, has been widely criticised (here‘s the Guardian’s take on the final two instalments–it’s worth remembering, though, that by all accounts the now-classic centenary Chéreau-Boulez Ring was similarly booed). Castorf’s approach, however, was one that deflated the grandeur of the cycle at every turn and brought its characters very much down to earth, lowering the stakes and defusing the drama. 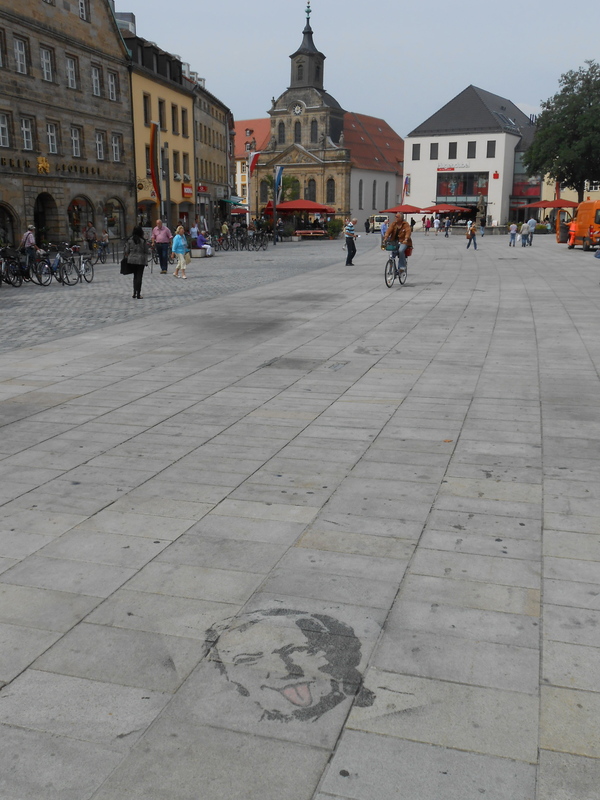 Similarly, Bayreuth’s own celebrations seemed low-key and, well, somewhat un-celebratory; certainly the mocking, irreverent Wagner with tongue poking out that featured dotted around the town gave that impression. Maybe this all represents an enactment of what Andreas Huyssen, with specific reference to how one was to deal with Wagner’s vastness in the context of a modernism suspicious of such vastness, has called ‘anti-monumentality’ (a concept more recently discussed in Alexander Rehding’s Music and Monumentality). Despite the socialist Mount Rushmore that featured in Siegfried, Castorf’s Ring seemed intent on such an approach. And this feeling was only emphasised by the fact that its ‘anti-monumentalist’ stance was articulated with the aid of vast and clearly very expensive sets. 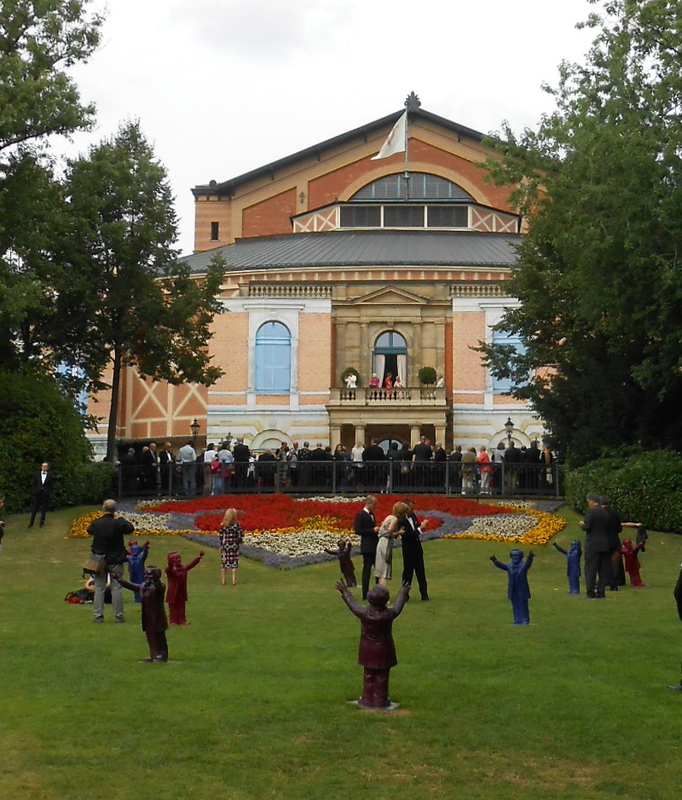 Clearly, then, the manner in which Bayreuth is honouring its birthday boy is not dictated by economic constraints. That Italy is generally believed to be giving Verdi short shrift in the anniversary year … well, that’s another matter.